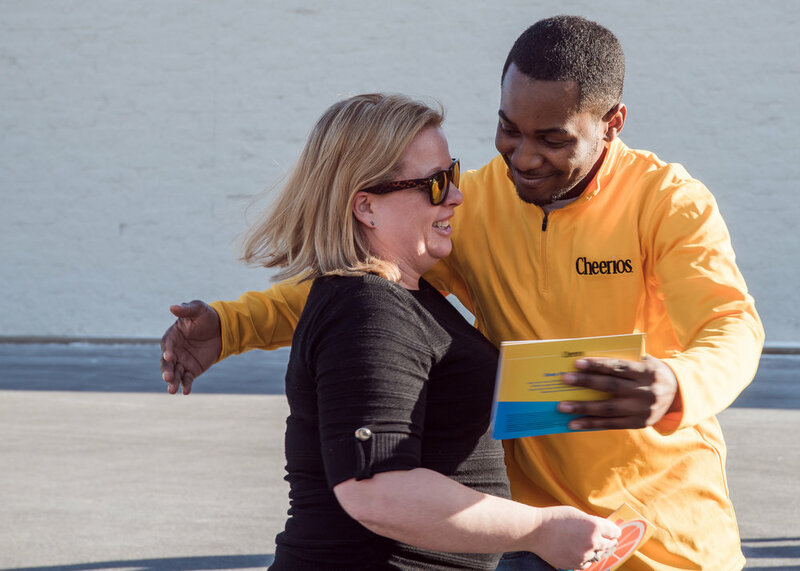 It’s always nice to be on the other end of a good surprise. 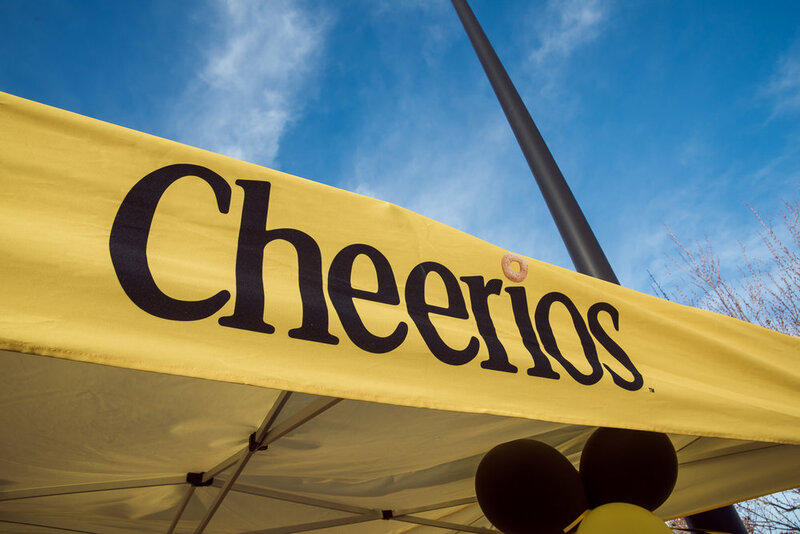 That’s where I was this past Wednesday, when Cheerios set up hidden cameras and surprised shoppers and a local charity with unexpected goodies. 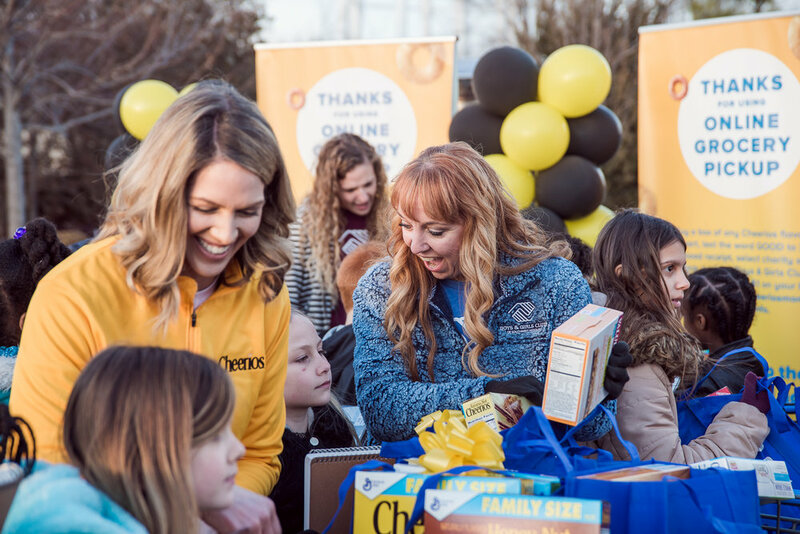 I had the privilege of photographing the Joplin Missouri event, alongside a film crew who were shooting as part of a new campaign by Cheerios and Wal Mart to feature on national social media. Admittedly, it was hard to keep the cameras hidden for long…. 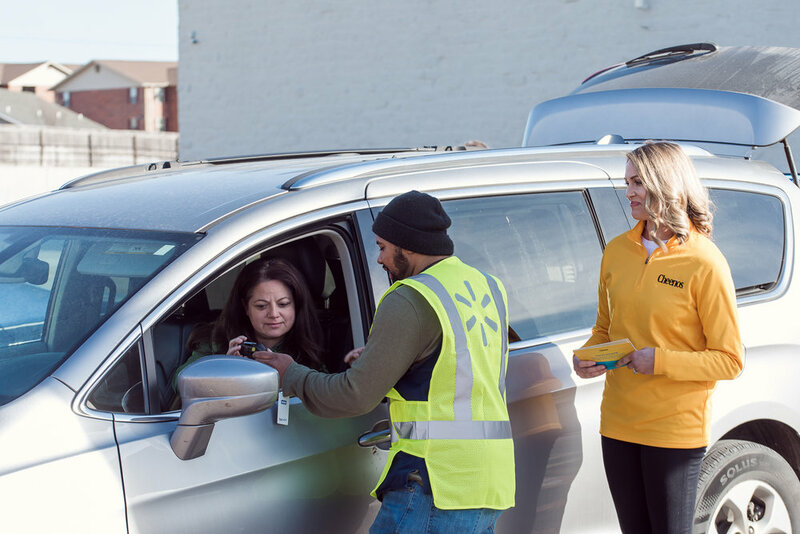 The first half of the event was for online grocery pickup shoppers. 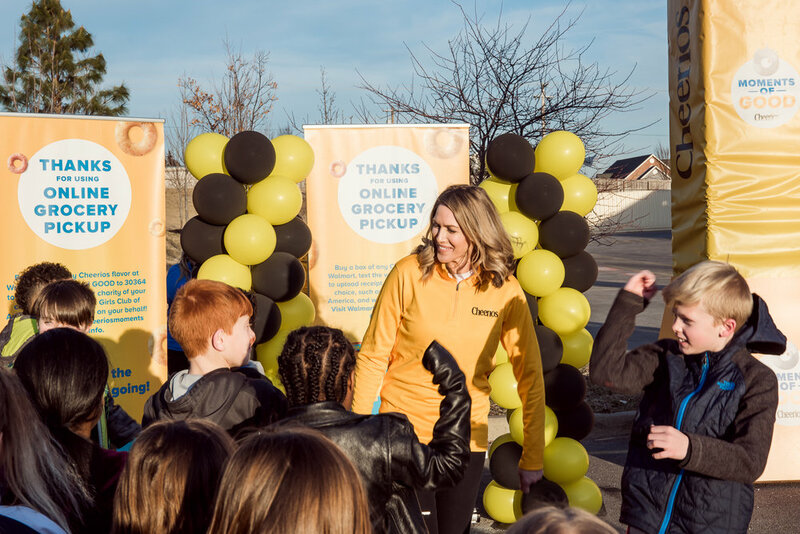 Shoppers, who had no idea what was coming their way, were gifted with $100 gift cards and encouragement cards hand-illustrated by kids from the boys & girls club of southwest Missouri. 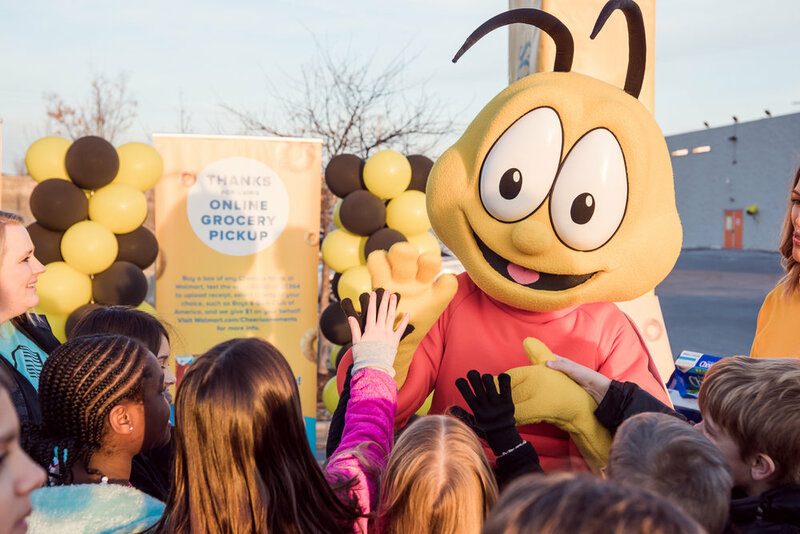 While a few were camera shy (since, after all, grocery pickup is sometimes used when we feel least presentable to the world), most really appreciated the kindness of the act, and of course who wouldn’t get excited about an unexpected $100 in shopping money?? 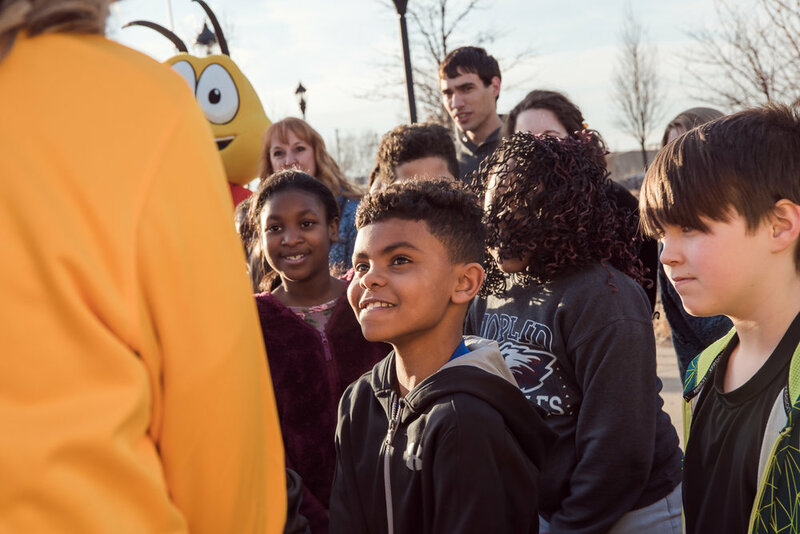 The second part of the event kicked off when the bus rolled in with the very kids who had made the cards for the shoppers. 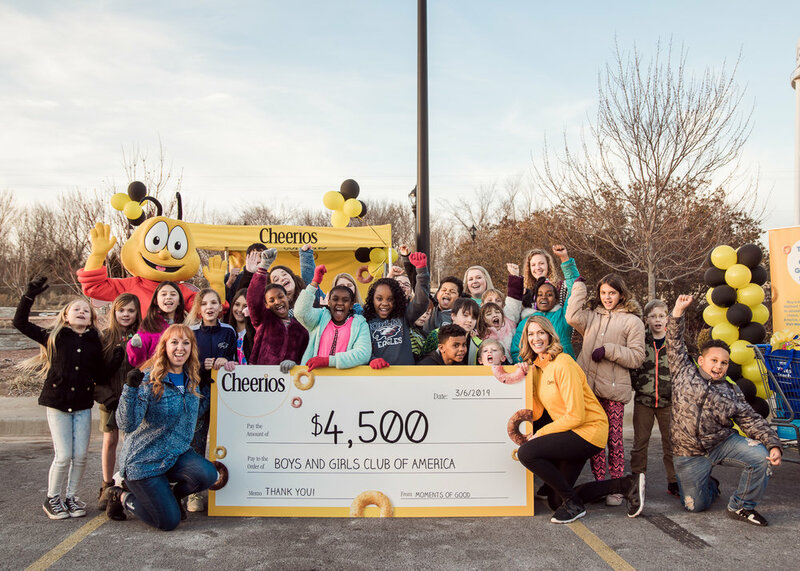 The boys and girls club of southwest mo were greeted by buzzy bee and a cheerios spokesperson, then presented with shopping cards loaded up with art supplies and other goodies (including, of course, cheerios)… as well as a huge check. Because enormous checks are always kind of amazing, right? That’s all I got for now. 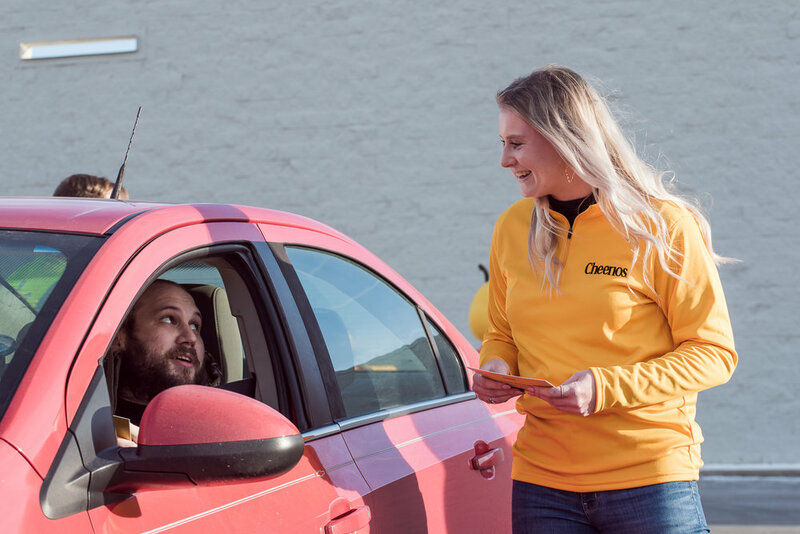 Hope the pictures brought a smile to your face… keep an eye out for the video that will be popping up on Cheerios’ website and social media within the next few days!